Jacob and Alyssa Harrison's work on a dig in Turkey threatens to unveil secrets that officials from the Gregorian church do not want uncovered. While visiting the site, Jacob's friend, Darren Moore, discovers an uncanny link between Jacob, and Darren's friend in Canada, Blake Patterson. Blake reflects upon his life as measured against his current love interest, Alanna. An evil element in his past, Jim Beasly, emerges into his present life. Matters come to a head in both worlds simultaneously as Jacob and Alyssa, try to track down Blake in downtown Toronto before he clashes with the fully degenerated Jim Beasly. As a boy, I stumbled across a copy of Great Expectations. I was irretrievably drawn into that book’s stories from the very first page and, though younger than the Pip of most of the book, I identified with him. Like a lot of other great literature, from Thomas Hardy to Ernest Hemingway, Great Expectations is a tale of self-reflection, and self discovery – the kind of book that I wanted to write one day. And I tried. It seemed like forever. I loved the stories, and learned to tell my own. I loved the exaggerated characters, and I learned to take my talents are far as they could go in that direction. And I eventually learned how to relate the moral dilemmas and choices. But I still had nothing resembling a novel, and it seemed like I never would. As any would-be artist could testify, the inability to put together even a poor offering of your art is devastating, and more than enough reason to question the validity of your most treasured ambitions. There was no quit in me, but I was at a loss to understand what my work was missing. In retrospect, it was obvious. But I had no idea that I had found my answer until after it was finally in place. Putting the movie renditions out of my head, what is it that I remember about Great Expectations after all those years? In a word: Estella. As Pip became more and more real to me, so did his all-consuming love for Estella. And, after years of reflection, I have bought into Dickens’ original ending – the bittersweet one – that more realistically tells us that life and love often go unresolved. It is not Pip’s unexpected benefactor that turns his life upside down, but the irresistible force of his unrequited love. His love for Estella dominates his real story as does Gabriel’s love for Bathsheba in Far from the Madding Crowd, and Frederic’s love for Catherine in A Farewell to Arms. And all of these women possessed me, as they possessed their stories’ protagonists. And, as with those great authors (to whom I in no other way compare), only once that love was in focus, did my writing transcended my more practical gifts. Resolutions is the fourth book in a series that would never have come to be without Alyssa. Omitting her in for all but the last of the ten years that it took to write the first book might seem like a glaring oversight, but I couldn’t write what I didn’t know. In Resolutions Alyssa, like Estella, Bathsheba and Catherine before her, may often not take center stage, but she is the driving force behind all that transpires. She is the inspiration and the moral compass. In Resolutions, the story grounds itself on her. Alyssa is a complex character, with a myriad of strengths and corresponding weaknesses, some of which are mirrored in Alanna – who casts her spell in a parallel narrative. Most of all, Alyssa is real, and the book does not exist if I do not love her – not only like I loved the others, but in a more intensely personal way. All I can hope is that is that, in reading Resolutions, my readers will not only find some interesting storylines and characters but, like I have done so many times before, find love in literature. Barry F. Parker is a Canadian who now lives in Riverside, California, where he is employed as an academic librarian. He has a Ph.D. in Biblical Studies and has written scholarly articles in that discipline. 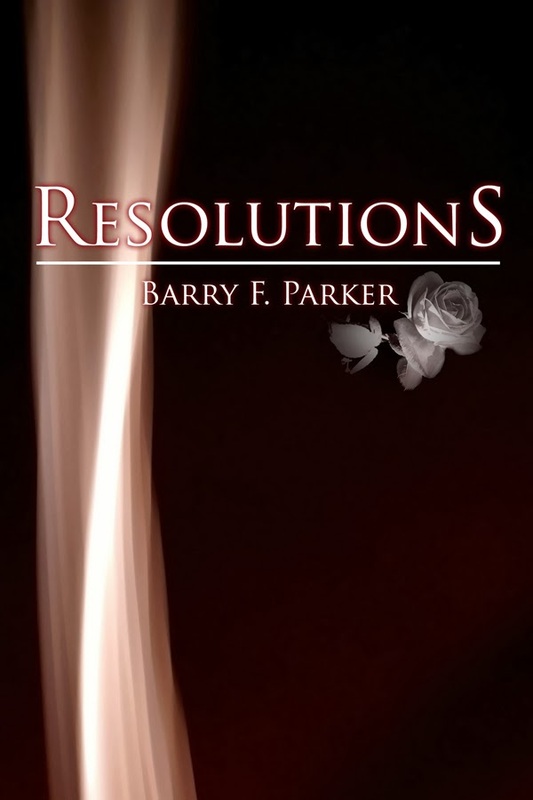 Resolutions, though a standalone work, is written as the fourth book in a series. The previous three are being revised, and work on a fifth is recently underway. Writing fiction is Parker's lifelong focus. All of his experiences, education and passions are part of what he writes. The characters are all very real to him, and the fictional platform allows Parker to portray them with an added dimension. Thanks for stopping by. 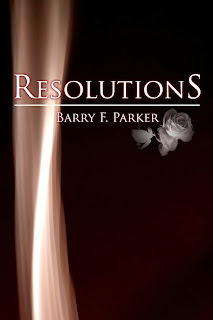 Resolutions is on my TBR too! It sounds like a great read!! Barry was having difficulty getting the comments to work so I offered to post for him :) He says, "Madeline, thanks so much for your comment. Being on someone's TBR list is the absolute best. So glad to have met you too. Barry"